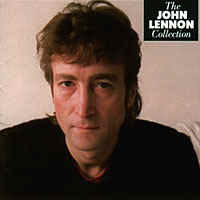 As its name implies, the "John Lennon Collection" is a compilation album. It features many of John's most commercially popular songs as a solo artist. It was released Nov. 1, 1982 (UK) and Nov. 8, 1982 (US). And if it sinks, you know that all you really get is wet! And so we sing along, the boy stood on the burning deck! They're starving back in China, that's what they always said! You're full of beans, you're in your teens, you lost your momma's road map!